Nothing says celebration like sprinkles and cake! 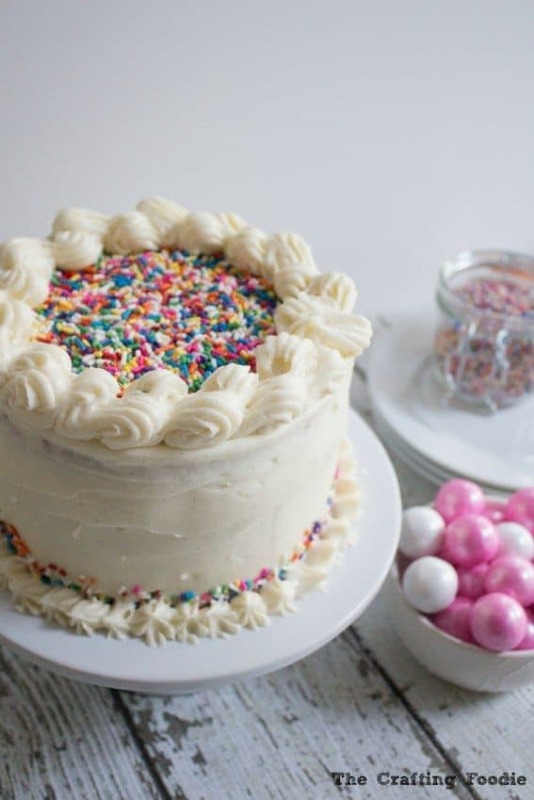 This light, moist 3-layer, 6-inch Vanilla Bean Homemade Funfetti Cake is filled with rainbow sprinkles and topped with a fluffy, creamy vanilla frosting and more sprinkles. It’s the perfect little cake to celebrate any occasion. Hi Everyone! 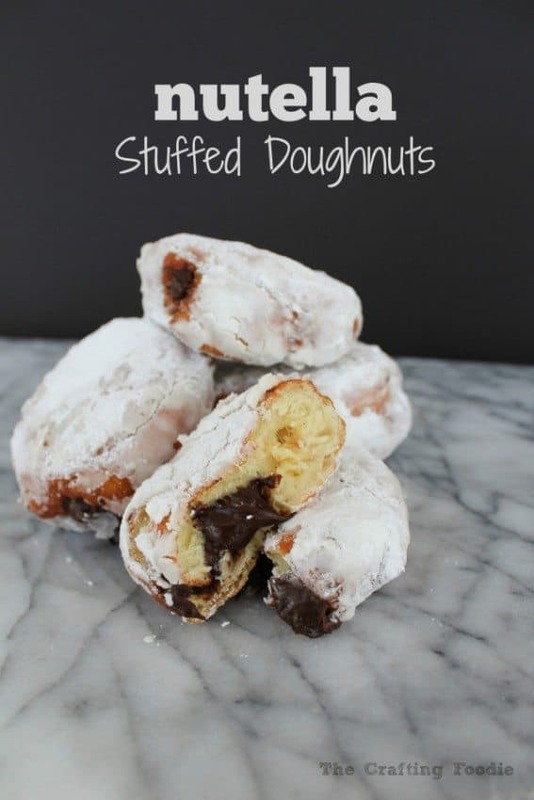 I’m so happy to be back this month from The Crafting Foodie to share another delicious, decadent treat with you. 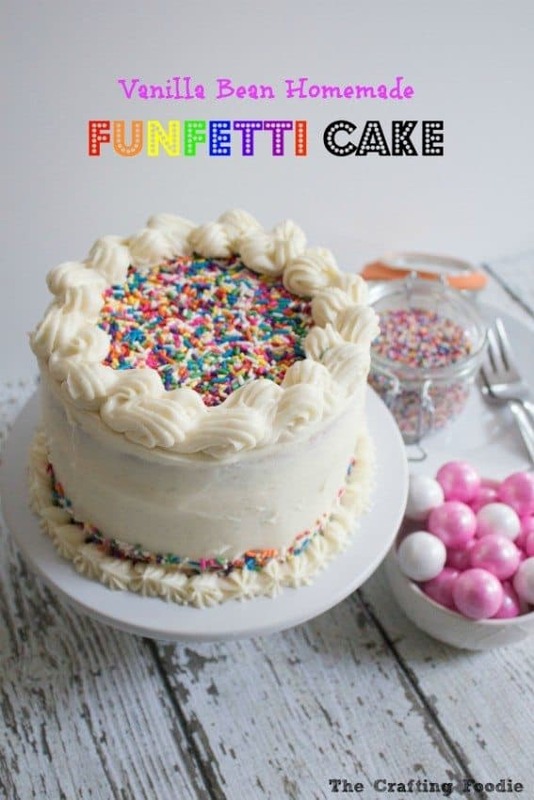 This time, I’m here to share one of my kids’ favorite cakes – a Vanilla Bean Homemade Funfetti Cake. Sprinkles rule in our house. If my kids had it their way, we’d have sprinkles on everything – in pancakes, on yogurt, even on mac and cheese. Yup. You read that right. Once my 3-year old had a major freak out because I wouldn’t put sprinkles on her pasta. So, when it’s time to celebrate, we have to include sprinkles. 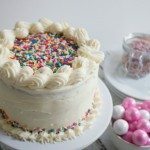 This little 6-inch, 3-layer Vanilla Bean Homemade Funfetti Cake is perfect for a small gathering, and while the cake is petite, it’s still packed with sprinkles on the outside and inside. 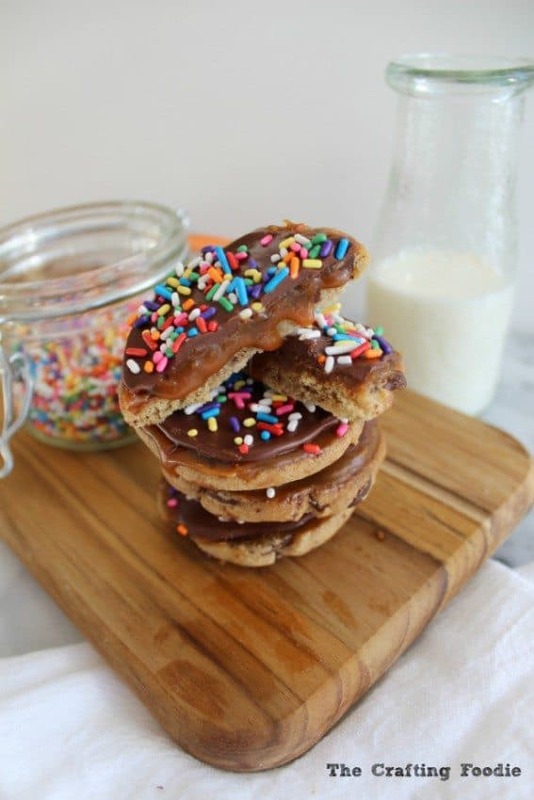 It’s the perfect sprinkle-laden treat. While the sprinkles are the showstopper, the homemade vanilla bean cake cannot be overlooked. It’s a moist and tender cake, and thanks to the vanilla beans in the cake, a natural and delicious vanilla flavor shines through. Since the I knew the cake would be doused in rainbow sprinkles, I kept the fluffy vanilla frosting white. It’s the perfect blank canvas to show off all of the colorful jimmies. So while this cake appeals to my sprinkle-loving kids, it’s pure vanilla flavor and light texture would please any cake connoisseur. Nothing says celebration like sprinkles and cake! 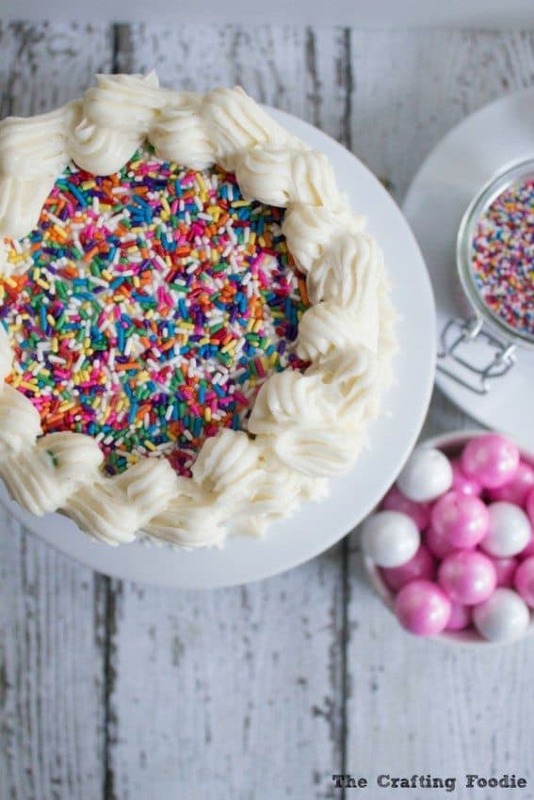 This light, moist 3-layer, 6-inch Vanilla Bean Homemade Funfetti Cake is filled with rainbow sprinkles and topped with a fluffy, creamy vanilla frosting and more sprinkles. It's the perfect little cake to celebrate any occasion. Preheat the oven to 350 degrees F. Line 3, 6-inch circle pans with parchment paper. Grease and flour the pans and parchment. Set the pans aside while making the batter. In a small bowl, sift the cake flour, baking powder and salt. In the bowl of a mixer fitted with a paddle attachment, cream the butter and sugar until light and fluffy (about 5 minutes). Add the eggs one at a time, mixing until just combined. Add the vanilla bean paste, and mix until just combined. Add the flour mixture and milk in three additions, starting and ending with the flour mixture. 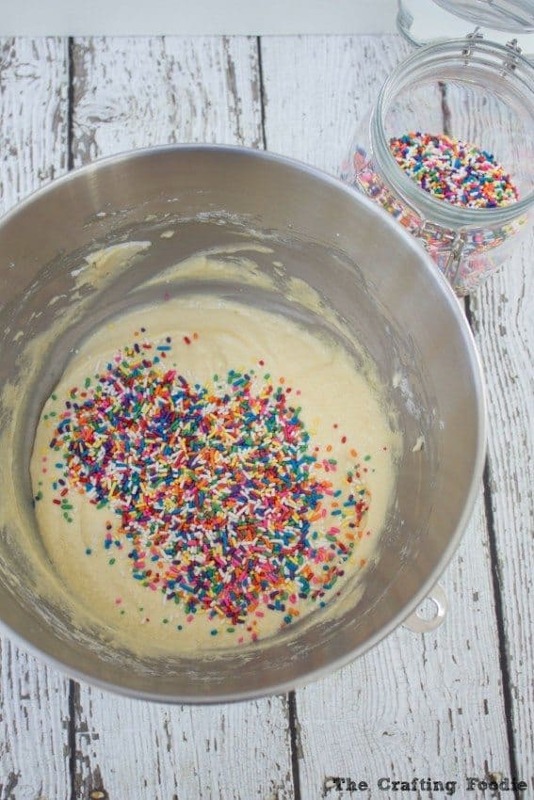 Using a rubber spatula, fold the rainbow sprinkles into the batter. Divide the batter evenly between the pans and bake for 25 to 30 minutes or until a toothpick inserted in the center of the cake has a few crumbs stuck to it. Do not allow the cake to brown. 10. Allow the cakes to cool in the pans for about 15 minutes. Then turn them out of the pans and allow them to cool completely on a cooling rack. In the bowl of a stand mixer fitted with a paddle attachment, cream the butter until light and fluffy. With the mixer on low, add the confectioner's sugar. Mix until light and fluffy. Add the salt and vanilla. Mix until combined. Add the milk or cream, beat until light and fluffy. Trim the tops of the cake so they are flat. Fill each cake layer with frosting. Refrigerate the cake for about 15 minutes to allow the frosting between the layers to chill. 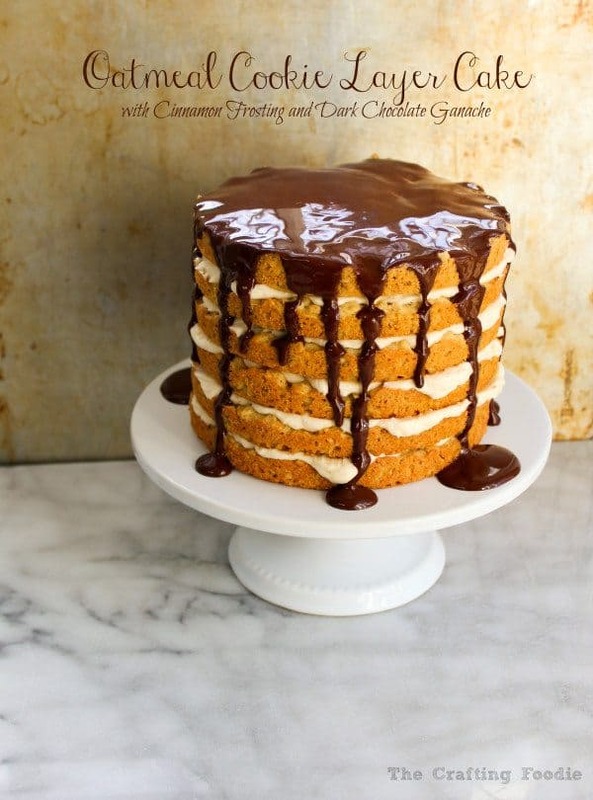 Using an off set spatula, spread a very thin layer of frosting all over the cake top and sides of the cake. Place the cake in the refrigerator for about 15 minutes to chill. Place a final, thicker layer of frosting on the cake. Spread until it is smooth. While the frosting is still tacky, press rainbow sprinkles on to the bottom edge of the cake. 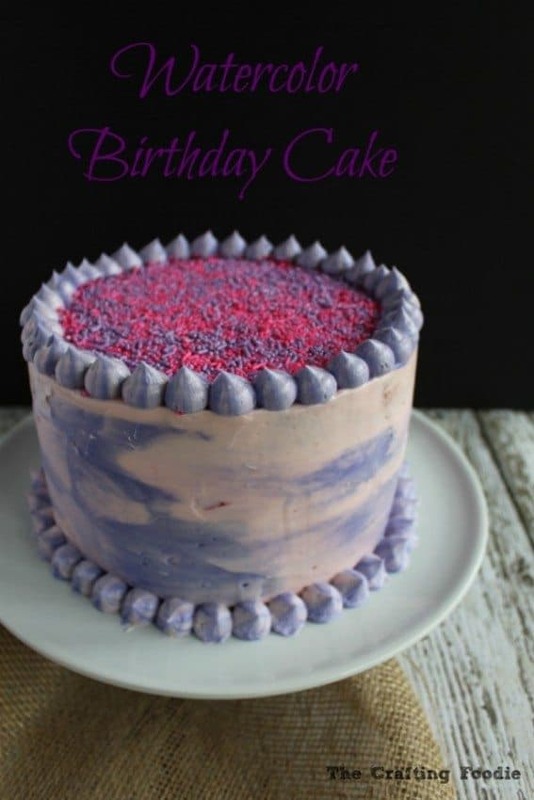 Spread a layer of rainbow sprinkles on top of the cake. Using a pastry bag fitted with a star attachment (or any attachment of your choosing), decorate the sides and edges of the cake.